PATUXENT RIVER, Md. 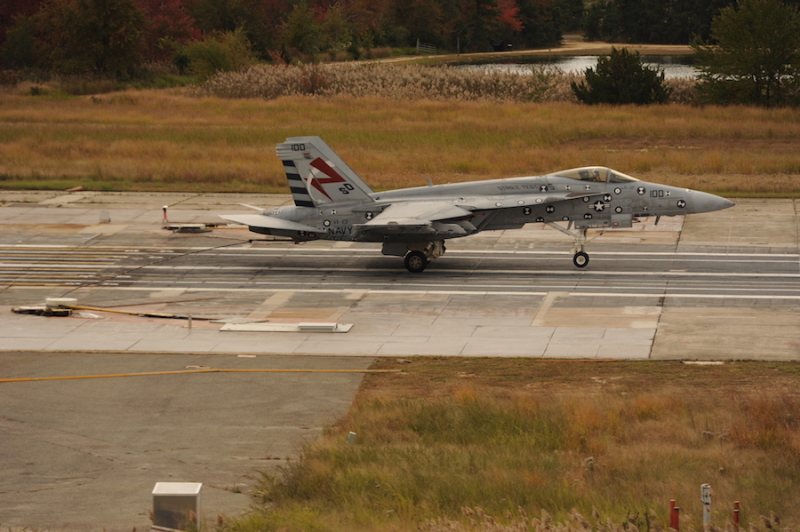 --- Advanced Arresting Gear (AAG) completes a first-of-its-kind recovery of an F/A-18E Super Hornet at the Runway Arrested Landing Site in Lakehurst, N.J., Oct. 13. 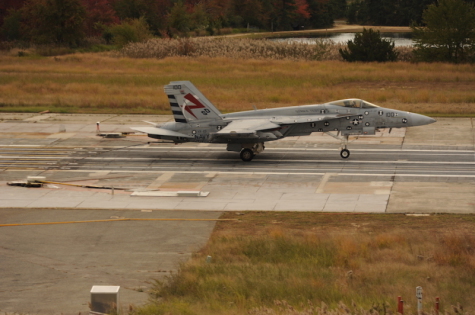 This event, conducted as part of AAG performance testing with the Super Hornet, follows more than 200 roll-in arrestments completed at the site since late March. The AAG test team conducted more than 1,300 dead-load arrestments on the Navy’s newest aircraft recovery system before involving manned aircraft. “This milestone test event demonstrates AAG’s capability and signifies a big step forward in getting the system ready for duty on board the Navy’s newest aircraft carrier,” said Aircraft Launch and Recovery Equipment (PMA-251) program manager Capt. Stephen Tedford. t the completion of AAG performance testing, an Aircraft Recovery Bulletin will be generated, allowing system testing with manned aircraft aboard Pre-Commissioning Unit Gerald R. Ford (CVN 78) to progress.